Participants should rethink the innovative potential of masonry construction by exploring approaches to energy efficiency, resiliency, sustainability, and mass customization. Use of BIM, computational design, and emerging construction and manufacturing techniques is also encouraged. All designs must incorporate one or more of the following materials: brick, concrete block, tile, marble, terrazzo, stone, and plaster. Solutions should address both the aesthetic and structural nature of masonry assembly. The proposed project could be a building; exterior building element such as a wall, floor, or roof assembly; or other concept construction. The competition invites creative freedom to allow designers to innovate without restraint. 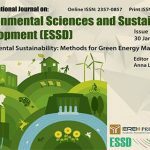 View the competition details, brief, and register online: http://imiweb.org/jbcaward/. 3 grand prize winners will be awarded across 3 categories: students; young architects and engineers; and firms, multidisciplinary teams, and individual architects/engineers. Student Category: $5,000 awarded to student(s). An additional $5,000 will be awarded to the specific school program the student(s) is enrolled in. 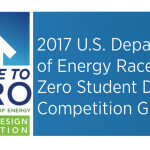 If student team members are from different programs, colleges or universities, the $5,000 award will be split among the different programs, colleges, or universities. In addition to monetary prizes, winners may receive special publication and promotion opportunities, and will be honored in March 2018 during an awards ceremony held in Miami, Florida. Travel and accommodations to Miami will be provided by the International Masonry Institute (IMI) for up to 2 individuals from each winning category. IMI, at its sole discretion, may choose to build all or a portion of the winning design in each category at a location of its choosing. Participants will have the opportunity to get their idea in front of a prestigious panel of renowned architects and leaders in the masonry design and construction industry. To enter the competition, entrants are required to register online by November 15, 2017. The process is quick and easy: we only collect basic contact information at the time of registration. There are no registration or submission entry fees. View the competition brief for detailed submission requirements: http://imiweb.org/wp-content/uploads/jbc-innovation-in-masonry-competition-brief.pdf. 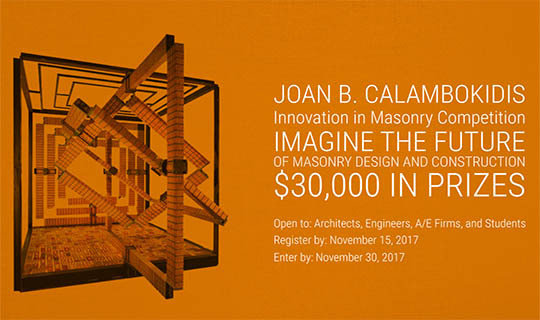 Masonry Variations, a National Building Museum exhibit co-sponsored by the International Union of Bricklayers and Allied Craftworkers and the International Masonry Institute, exemplifies Joan’s leadership in the area of masonry innovation. 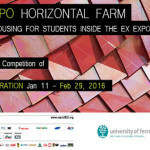 The exhibit featured works by 4 innovative architects, demonstrating the versatility of stone, terrazzo, brick and concrete. Joan was also responsible for the creation of Masonry Camp, a nationally-recognized program dedicated to building collaboration between designers and craftworkers. Her vision was instrumental in the development of IMI’s National Training Center, a multi-building campus that serves to educate thousands of craftworkers and designers annually.